The report contradicts the findings from two earlier studies. It was also done by a private firm CL&P hired. 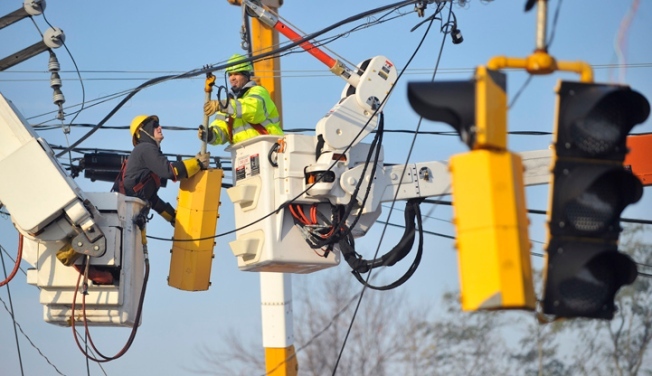 A new report describes Connecticut Light & Power's response to Tropical Storm Irene and the freak October snowstorm as "reasonable," contradicting two earlier reports issued by the state. CL&P hired a private firm to do the study, and Simsbury residents were shocked when they heard the results. The town was hit hard by the storm and power was out for days. Families said there’s no way the response was reasonable. “Eight days in Simsbury without power is a long time,” Jerry Cohen said. He said he still questions why it took so long for CL&P to show up and get his power on again. “After five days, we did notice there was an awful lot of utility trucks but prior to that, it was really slow,” Cohen said. The latest report suggests that the utility company performed well, not only after the nor’easter, but also during Irene. It said the company restored all of its customers' power in a reasonable timeframe, given there were more than 1 million outages for both storms combined. Cohen said the results were a complete contradiction of what families endured. “I was disappointed and I know a lot of people in town thought they started too late,” Cohen said. The study includes more than 100 pages worth of findings and said CL&P needs to make some serious improvements when it comes to dealing with the next major storm, including putting more resources on weather emergencies, doing a better job managing a large number of crews, being more consistent with communication during power restoration and being more aware of the severity of the storm earlier on. Cohen and many other residents said they hope CL&P puts these suggestions into use so their town doesn’t suffer for days on end after the next storm.